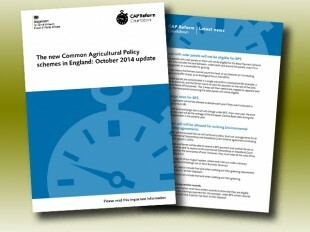 More details have been unveiled today about how the new CAP will be implemented in England, with the publication of the latest CAP Reform leaflet on GOV.UK. The latest leaflet, which will also be posted to farmers in November, includes vital information for new and young farmers, explaining how they could be eligible for new Basic Payment Scheme (BPS) entitlements from the ‘national reserve’. Young farmers can also find out whether they are eligible to claim a top-up payment worth up to 25 per cent of the average value of their entitlements. Most existing Single Payment Scheme (SPS) customers will qualify for BPS, but some operating certain non-agricultural businesses will not be eligible. The leaflet provides further detail around the ‘active farmer’ requirements of the scheme and definitions of those who may not be eligible. The leaflet also includes more information about hedges and how they can be counted as Ecological Focus Areas. Rules around the width, length, height and location of hedges are all covered.